Canon EOS M3 is, in fact, the more expensive model, instead of Canon EOS M10. Thus, don’t be fooled by the numbers in their names, my buddy! Even so, the price gap is not exactly very huge, though is still pretty considerable for some people. While Canon EOS M10 is usually available under four hundred bucks, you will need a few dozens more to acquire Canon EOS M3. So, which model should you get? We will answer the question here! 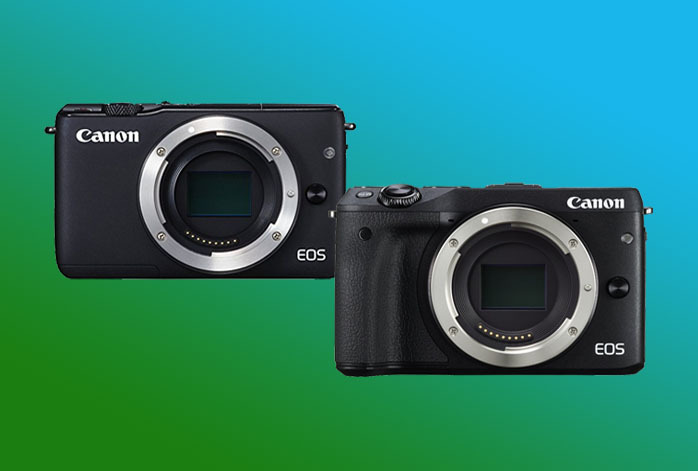 Also, we have ever compared Canon EOS M3 to Canon EOS M2; you may be interested in reading the article as well. Both models come with a number of similar side features. For sure, both have articulating touchscreens of the same resolution. So, you can have the same flexibility in shooting positioning. You can have no problem shooting from a tight angle while still seeing exactly what your camera is aiming to. Both Canon EOS M10 and Canon EOS M3 have built-in flash to provide some illumination under limited brightness conditions. Both models also have built-in Wi-Fi for easy data sharing across various devices. Now we are going to talk about the first difference between Canon EOS M10 and Canon EOS M3. While Canon EOS M10 is quite decent with an 18MP image sensor, Canon EOS M3 makes a strong ground with a 24MP APS-C CMOS sensor. Rest assured, Canon EOS M3 can deliver larger and much sharper images than Canon EOS M10. Images will be more detailed and with more clarity. In addition, Canon EOS M3 also comes with more additional features than Canon EOS M10. It has an electronic viewfinder, an external flash shoe, a microphone port, and AE bracketing, things that Canon EOS M10 lacks. These extras are certainly hugely beneficial, providing better and more extensive control. Canon EOS M10 is not without advantages. However, these advantages are most probably not able to outweigh the strong points of Canon EOS M3. Canon EOS M10 has a slightly faster continuous shooting speed (4.6fps vs. 4.2fps), and is a little bit lighter compared to Canon EOS M3. Canon EOS M3 comes with significant improvements from Canon EOS M10. It offers better output quality and richer features that can be very useful in real-life usage. Therefore, you should choose Canon EOS M3!